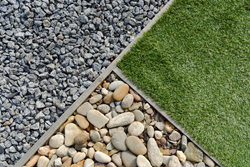 GetUSales and Tony Bass have created a way to provide easy marketing for landscape businesses. GetUSales and Tony Bass have partnered to create an automation package that provides easy marketing for landscape businesses. GetUSales, an Internet marketing firm that specializes in Infusionsoft DFY packages, has partnered with landscaping marketing leader Tony Bass to develop a system of easy marketing for landscape businesses. This system, called the Tony Bass Landscaping Success Automation Package, allows small landscaping businesses to get started in marketing automation quickly and easily. GetUSales' sister company, GetUWired, recently released a blog on the partnership, which can be seen here. What is the Tony Bass Landscaping Success Automation Package? The Tony Bass Landscaping Success Automation Package is a plug-and-play marketing automation package that gets small landscaping businesses up and running with marketing automation with very little time or money investment. The package includes everything landscaping businesses need to get started with marketing automation, including the Infusionsoft platform and seven ready-made email marketing campaigns. How does Tony Bass marketing for landscape businesses work? With the Tony Bass Landscaping Success Automation Package, the first step is importing contacts into the Infusionsoft for landscaping platform. With just a few clicks, new contacts are entered into the database. The system can also be set up to automatically enter people into the system from CTAs and web forms from the business' website. Once a contact is entered into the system, that contact is attached to one of seven email marketing campaigns that will appeal most to them. Emails in the campaign are then dripped out to the contact at pre-determined intervals of time. The Infusionsoft platform includes a lead-tracking feature that allows business owners to see which leads are hot (and need to be contacted directly) and which ones need more nurturing. The system also shows how many links were clicked (such as to schedule an appointment), so it's easy to figure ROI and effectiveness of the package. With the Tony Bass landscaping marketing package, it only takes a few clicks to add a new contact to the system and attach them to one (or more) of the seven email marketing campaigns that are included. The system then automatically follows up with the lead for as long as the campaign(s) last, eliminating follow-up failure. For more information, call GetUSales at 855-834-4850 or visit http://www.landscapingmarketingsystem.com.